Souza, V.C. (2012). Neotropical Orobanchaceae. 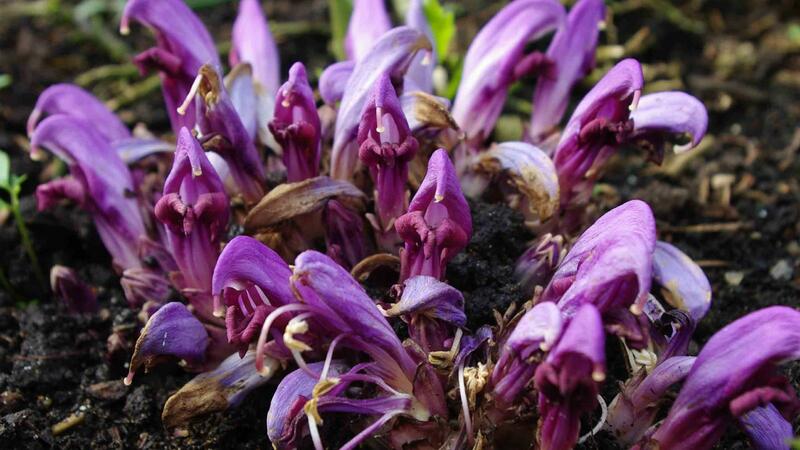 Annual , biennial , perennial herbs or shrubs, sometimes climbers (Velloziella), hemiparasites or holoparasites on roots ; rarely non-parasitic (Lindenbergia), usually producing orobanchin and iridoid compounds, turning plant black after drying. Leaves simple , opposite or less frequently alternate or whorled ; sometimes scale-like; venation pinnate , palmate or one-veined; margin entire , serrate or sometimes deeply divided ; without stipules. Inflorescence most racemose, frequently with bracts similar to normal leaves. Flowers mostly showy (bracts more attractive than flowers in Castilleja), bisexual ; calyx gamosepalous, actinomorphic to zygomorphic , generally 4-5- lobed ; corolla gamopetalous, zygomorphic , usually bilabiate, generally 5- lobed ; stamens 4, rarely with a staminode , generally didynamous; epipetalous, alternating with corolla lobes, anthers dithecal or less frequently monothecal (Buchnera, Cordylanthus), introrse, opening by longitudinal slits or rarely by pores (some Euphrasia); gynoecium syncarpous of 2(-3-5) carpels, locules as many as carpels or 1, style 1, ovules many, placentation axile or parietal . Fruit a septicidal (sometimes also loculicidal) capsule . Seeds numerous, minute, testa often ornamented, usually wind-dispersed. Orobanchaceae is positioned in Lamiales, as a probable sister to Paulowniaceae, but the evolutionary relationships between families of this order are still poorly known. Recent studies (summarized by Olmstead et al. 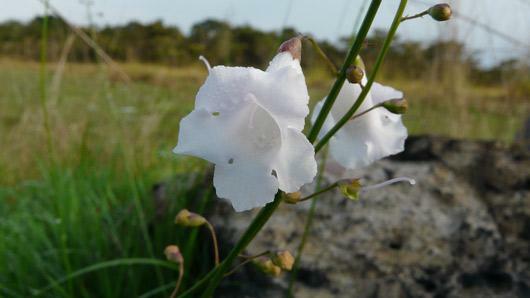 2001 and Tank et al., 2006) suggest that the traditional circumscription of Orobanchaceae should be reviewed to include some hemiparasitic genera traditionally included in Scrophulariaceae and Lindenbergia, a nonparasitic genus, probably basal in this group. 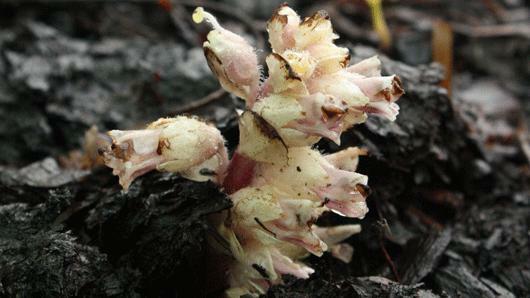 Orobanchaceae has a cosmopolitan distribution, including about 100 genera and 2000 species. Of these, 21 genera and 300-330 species are native in the Neotropics and one (Parentucellia Viv.) is naturalised. This family include some damaging weeds such as the witchweeds (Striga asiatica (L.) Kuntze, Striga hermonthica (Delile) Benth. and allies) and they present in the agriculture in many countries, particularly in Africa and Asia, affecting very poor areas. The parasitic habit, plus the quick life cycle, and extraordinary capacity for propagation (thousands of small seeds carried by wind can be produced by a single plant), makes the species of Striga some of the worst weeds in the world. 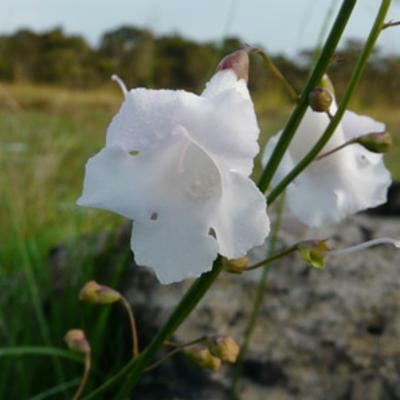 There is no record of Striga infestation in the Neotropics, but some areas in U.S.A. have been infected for decades, with little perspective of eradication. Considering that many places where Striga species occur in Asia and Africa have a climate similar to the Neotropics and also a similarity in crops cultivated, it is realistic to be concerned about these species. Buchnera, which is morphologically similar to Striga and its sister group, has many native Neotropical species, but there is no record of Buchnera species behaving as weeds. Most species of Neotropical Orobanchaceae are native; only a few species are naturalised, including Bartsiatrixago L. and Parentucellia viscosa (L.) Caruel. Nine genera of Orobanchaceae are endemic to the Neotropics. Five genera are also native in other New World regions (Canada and United States). Seven genera are also native in the Old World. Throughout the Neotropics, especially the Andes and the highlands of Brazil. Agalinis Raf. (including Anisantherina Pennell, Brachystigma Pennell, Gerardia Benth. and Schizosepala G.M. Barroso): (80-90 species, with c. 40 in the Neotropics) from Canada to northern Argentina, with an Andean and a Central Brazilian centre of diversity. Aureolaria Raf. : (8 species) U.S.A. to Mexico. Bartsia L. (including Bellardia All. ): (50-60 species, with c. 48 in the Neotropics) mainly Colombia, Venezuela and Peru to Chile and NW Andean Argentina, but also in tropical Africa, Europe and North America. Bartsia trixago L.is a cosmopolitan weed, probably with a Mediterranean origin, which occurs in Peru, Brazil (Molau, 1990) and Chile (Marticorena & Quezada, 1985). Buchnera L. (130-140 species, with 16 in the Neotropics) Africa (centre of diversity) and southern U.S.A. to Argentina. Castilleja Mutis ex L.f. (including Clevelandia Greene, Gentrya Breedlove & Heckard and Ophiocephalus Wiggins) - (200-210 species, with 80-90 in the Neotropics) Pantropical, with centre of diversity in North America. Conopholis Wallr. (2 species) eastern Canada through U.S.A., Mexico and Panama. Cordylanthus Nutt. ex Benth. (including Chloropyron Behr) (16 species, with 5 in the Neotropics) U.S.A. and Mexico. Eremitilla Yatskievych & J.L. Contreras (1 species) endemic to the state of Guerrero, Mexico. Escobedia Ruiz & Pav. (10-15 species) Mexico to South Brazil. Esterhazya J.C.Mikan (5 species, but many undescribed (Castro Sousa in prep.)) Brazil and Paraguay. Euphrasia L. (250-350 species, 15-20 in Latin America) cosmopolitan, mainly Asia and Europe, but also in Chile, Argentina and Bolivia. Lamourouxia Kunth (25-30 species) northern Mexico to Andean Colombia, Ecuador and Peru. Magdalenaea Brade (1 species) endemic to the Pedra Dubois, Santa Maria Madalena in eastern Brazil. Melasma P.J. Bergius (including AlectraThunb.) (40-50 species, 4 in the Neotropics) Mexico to southern Brazil. Nothochilus Radlk. (1 species) endemic to the Serra do Caparaó in eastern Brazil. Orobanche L. (80-100 species, 3 in South America), Colombia, Chile, Peru and Argentina. Parentucellia Viv. (1 species) naturalized in Chile and Brazil, native in Europe. Pedicularis L. (400 species with 10 Neotropical species) from Mexico to Ecuador. Physocalyx Pohl (4 species) endemic to the Espinhaço Range in Bahia and Minas Gerais, Brazil. Seymeria Pursh (25-30, 15-20 in the Neotropics) U.S.A. to Central Mexico. Silviella Pennell (2 species) endemic to Mexico. Velloziella Baill. (3 species) Venezuela to southern Brazil. Hemiparasitic or holoparasitic (except Lindenbergia). In a traditional sense, Orobanchaceae could be differentiated from Scrophulariaceae by number of locules in the ovary (1 in Orobanchaceae, 2 in Scrophulariaceae). 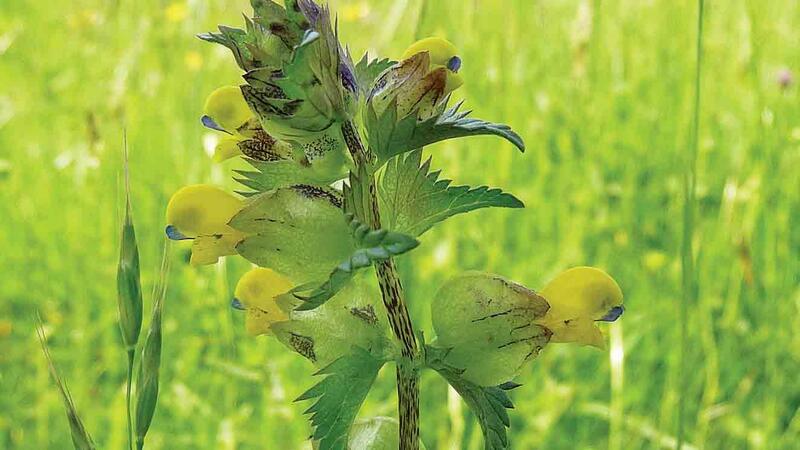 In the current circunscription, the main difference between the two families is the parasitic habit, not always obvious, since some Orobanchaceae, such as Esterhazya, Agalinis and Physocalyx can be robust shrubs, apparently independent of other plants. From Verbenaceae, Acanthaceae and Lamiaceae, which Orobanchaceae is sometimes confused, Orobanchaceae can be differentiated by the number of ovules (many in these three families and 1 in Orobanchaceae) in addition to the parasitic habit. The morphological distintion between some genera of Euphrasinae is unclear and the key, in this sense, is provisional, waiting for a comprehensive phylogenetic and morphological work concerning to this group. 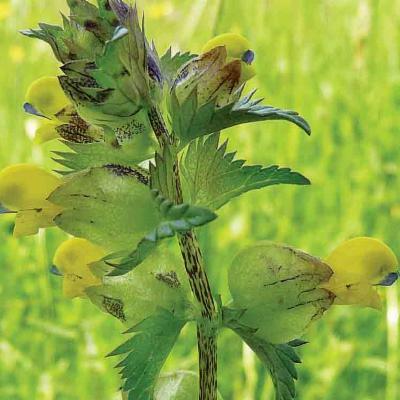 Many genera have big and attractive flowers, with ornamental potential. These include Esterhazya, Escobedia, Agalinis and Physocalyx, but cultivation are difficult since they are parasites. Nothochilus - Monoespecific genus, endemic to Serra do Caparaó - Brazil. Magdalenaea - Monoespecific genus, endemic to Santa Maria Madalena region. Many recent expedictions were made ir order to find this species in field with no results. It is possible to be extincted. Eremitilla - Recently described genus, unique in having five carpels. Barringer, K. & Burger, W. 2000. Flora Costaricensis, Family 193 Scrophulariaceae. Fieldiana Botany 41: 1-69. Barroso, G.M. 1952. Scrophulariaceae indígenas e exóticas do Brasil. Rodriguésia 15(27): 9-64. Chuang, T.I. & Heckard, L.R. 1991. 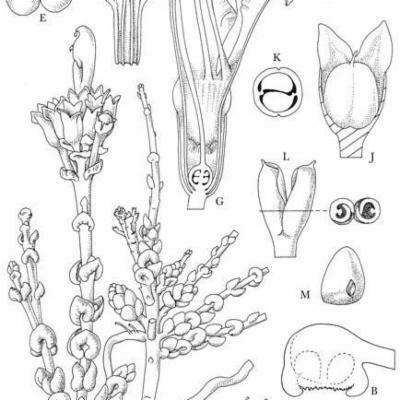 Generic realignment and synopsis of Subtribe Castillejinae (Scrophulariaceae-Tribe Pediculareae). Syst. Bot. 16(4): 644-666. D'Arcy, W.G. 1979. Flora of Panama: Scrophulariaceae. Annals of the Missouri Botanical Garden 66(2): 173-272. Díaz-Miranda, D. 1988. Genera of Scrophulariaceae in the Paramos of the Venezuelan Andes. Brittonia 40(2): 235-239. Elias, S.I., Souza, V.C. & Glória, B.A. 2001. Anatomical confirmation of root parasitism in Brazilian Agalinis Raf. species (Scrophulariaceae). Brazilian Archives of Biology and Technology 44(3): 303-311. Ernst, W.R. 1972. 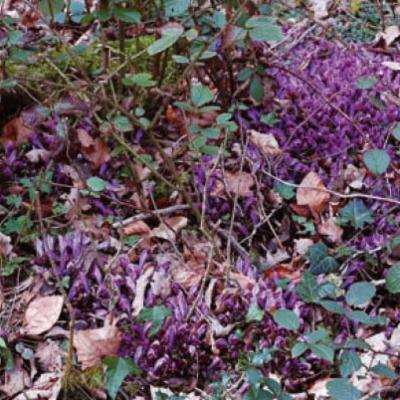 Floral Morphology and Systematics of Lamourouxia (Scrophulariaceae: Rhinanthoideae). Smithsonian Contr. Bot. 6: 1-63. Jørgensen, P.M. 1999. Scrophulariaceae. In: Jørgensen, P.M.& S. León-Yañes (eds.) Catalogue of the vascular plants of Ecuador. Monogr. Syst. Bot. Missouri Bot. Gard. 75 891-899. Marticorena, C. & Quezada, M. 1985. Catálogo de la Flora Vascular de Chile. Gayana, Bot. 42: 1-157. Méndez-Larios, I. & Villaseñor-Rios, J.L. 2001. La família Scrophulariaceae in México: diversidad y distribución. Bol. Soc. Bot. México 69: 101-121. Molau, U. 1990. The genus Bartsia (Scrophulariaceae-Rhinanthoideae). Opera Bot. 102: 1-99. Olmstead, R.G. & Reeves, P.A. 1995. Evidence for the polyphyly of the Scrophulariaceae based on chloroplast rbcL and ndhF sequences. Annals of the Missouri Botanical Garden 82: 176-193. Olmstead, R.G., Depamphilis, C.W., Wolfe, A.D., Young, N.D., Elisons, W.J. & Reeves, P.A. 2001. 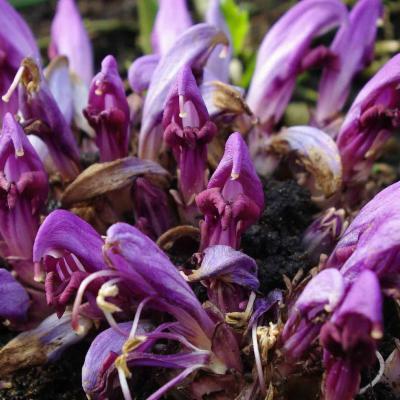 Disintegration of the Scrophulariaceae. Amer. J. Bot. 88: 348-361. Oxelman, B., Kornhall, P., Olmstead, R.G. & Bremer, B. 2005. Further disintegration of Scrophulariaceae. Taxon 54(2): 411-425. Pennell, F.W. 1913. Studies in the Agalinanae, a subtribe of Rhinanthaceae. Bull. Torrey Bot. Club 40: 119-130. Pennell, F.W. 1920. Scrophulariaceae of Colombia. Proc. Acad. Nat. Sci. Philadelphia 72: 136-188. Pennell, F.W. 1928. Agalinis and allies in North America - I. Proc. Acad. Nat. Sci. Philadelphia 80(10): 339-449. Pennell, F.W. 1929. Agalinis and allies in North America - II. Proc. Acad. Nat. Sci. Philadelphia 81(2): 111-249. Pennell, F.W. 1931. Escobedia - A neotropical genus of the Scrophulariaceae. Proc. Acad. Nat. Sci. Philadelphia 83: 411-426. Philcox, D. 1965. 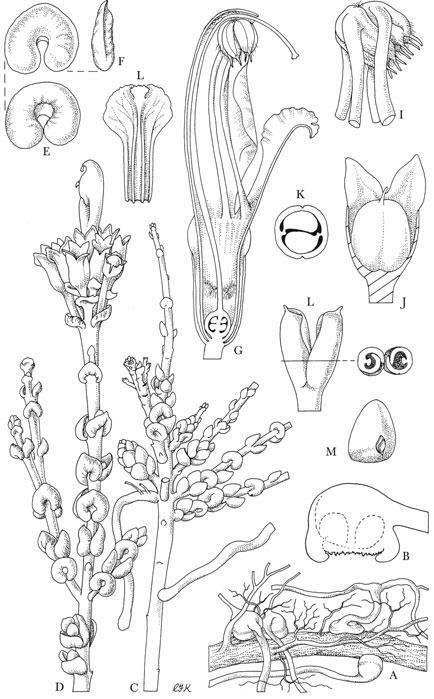 Revision of the New World species of Buchnera L. (Scrophulariaceae). Kew Bull. 18(2): 275-316. Souza, V.C. 2001. Novidades taxonômicas em Esterhazya J.C. Mikan (Scrophulariaceae). Bradea 8(36): 221-226. Souza, V.C. 2003. Scrophulariaceae. In: Wanderley, M.G.L., G.J. Shepherd, T.S. Melhen, A.M. Giulietti, M. Kirizawa (eds. ), Flora Fanerogâmica do Estado de São Paulo vol. 3: 297-321. São Paulo. FAPESP, Rima. Souza, V.C., Elias, S.I. & Giulietti, A.M. 2001. Notes on Agalinis (Scrophulariaceae) from Brazil. Novon 11(4): 484-488. Souza, V.C. & Giulietti, A.M. 1990. Scrophulariaceae de Pernambuco. Bol. Bot. Univ. São Paulo 12(1): 185-209. Souza, V.C. & Giulietti, A.M. 2003. Flora da Serra do Cipó, Minas Gerais: Scrophulariaceae. Bol. Bot. Univ. São Paulo 21(2): 283-297. Souza, V.C. & Souza, J.P. 1997. Flora de Goiás e Tocantins - Coleção Rizzo: Scrophulariaceae. Goiânia. Universidade Federal de Goiás. Standley, P.C. & Williams, L.O. 1973. Scrophulariaceae. In: Standley, P.C. & Williams, L.O. (eds. ), Flora of Guatemala - Part IX, Number 4. Fieldiana, Bot. 24(9/4): 319-416. Tank, D.C., Beardsley, P.M., Kelchner, S.A. & Olmstead, R.G. 2006. L.A.S. Johnson Review No. 7. Review of the systematics of Scrophulariaceae s.l. and their current disposition. Australian Syst. Bot. 19: 289-307. Tank, D.C., Egger, J.M. & Olmstead, R.G. 2009. Phylogenetic Classification of Subtribe Castillejinae (Orobanchaceae). Syst. Bot. 34(1): 182-197. Thieret, J.W. 1967. Supraspecific classification in the Scrophulariaceae: a review. Sida 3(2): 87-106. Yatskievych, G. & Jiménez, J.L.C. 2009. 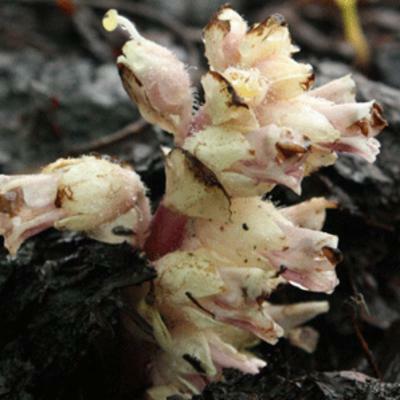 A New Genus of Holoparasitic Orobanchaceae from Mexico. Novon 19(2): 266-276. 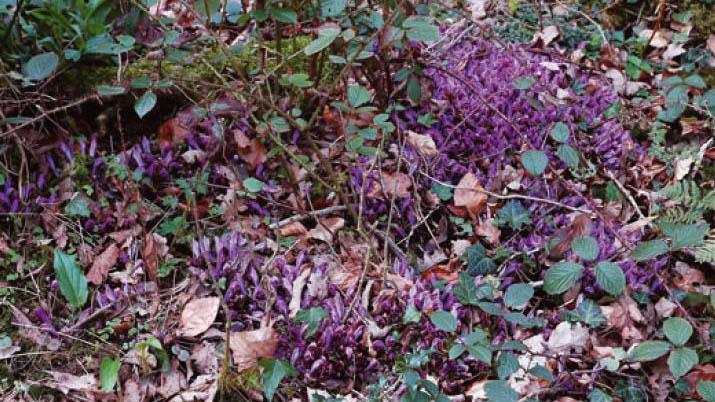 A monogeneric family, previously included in the Verbenaceae until separated as a family in 1981. Bardotia Eb.Fisch., Schäferh. & Kai Müll. Rehmannia Libosch. ex Fisch. & C.A.Mey.